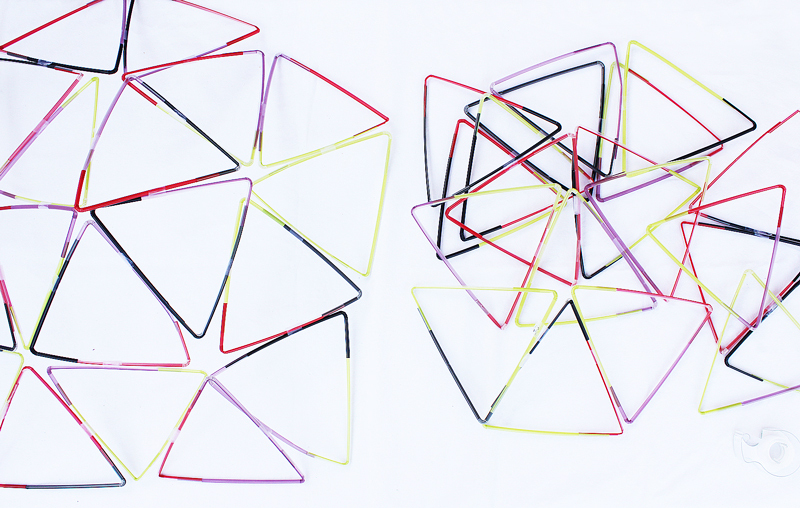 Okay guys I admit it, I’ve gotten carried away with something, and I hope you might too….In the next week I will be bringing you three, yes three, projects using straws. Since we are in the midst of exploring plastic projects on Babble Dabble Do I have been snatching up drinking straws galore- at the market, IKEA, and any other place I see a colorful set. I had been planning to bring you a fun straw project but one project led to another which led to another….hence three of them are coming your way! 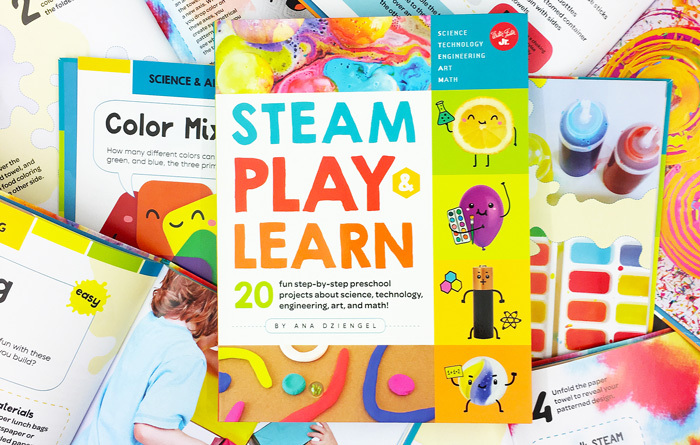 First up is today’s post which was inspired by a book that you MUST purchase this summer: 101 Kids Activities That Are the Bestest, Funnest Ever! : The Entertainment Solution for Parents, Relatives & Babysitters! 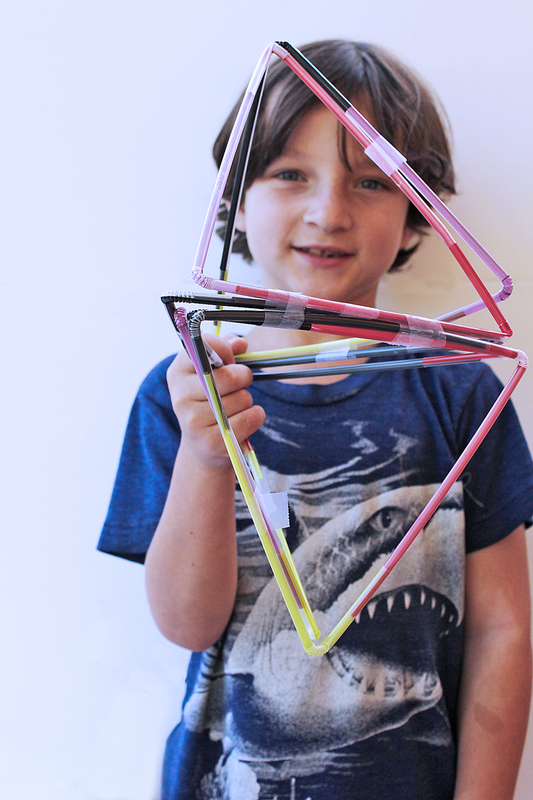 Structural projects for kids are a long time favorite here on Babble Dabble Do. As an architect I seriously can’t help myself when I see a super cool building project that I know kids will love. So when I received a copy of the new book from Kids Activities Blog, I stopped in my tracks at the DIY Straw Building Set. Oh yeah! It was love at first sight. Straw structures are so easy to make and use an inexpensive, colorful product that all of us have on hand. What’s not to LOVE about this project? A word about the book: If you don’t have a copy of Kids Activity Blog‘s book yet, please pause for a moment, go here and get it. RIGHT. NOW. Trust me you need this book this summer. 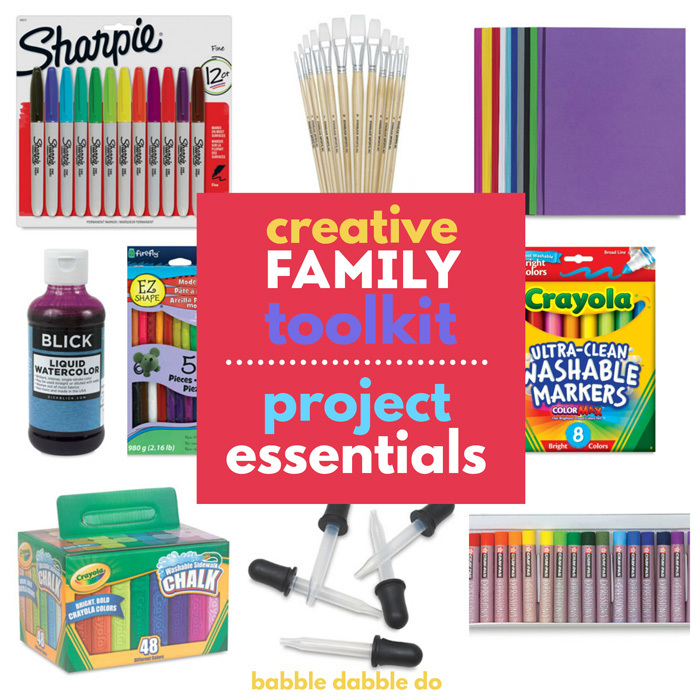 It is full of easy ideas for kids that can be adapted to a variety of ages. The images are vivd and colorful and the activities include many classics with a twist. 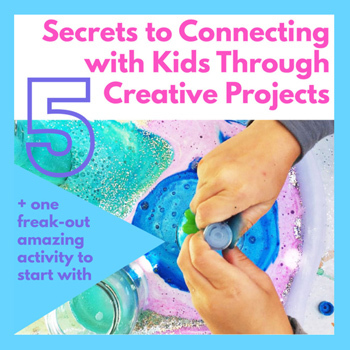 You will find many an activity to beat the summer doldrums and many an image to get you and your kids excited about doing a project! 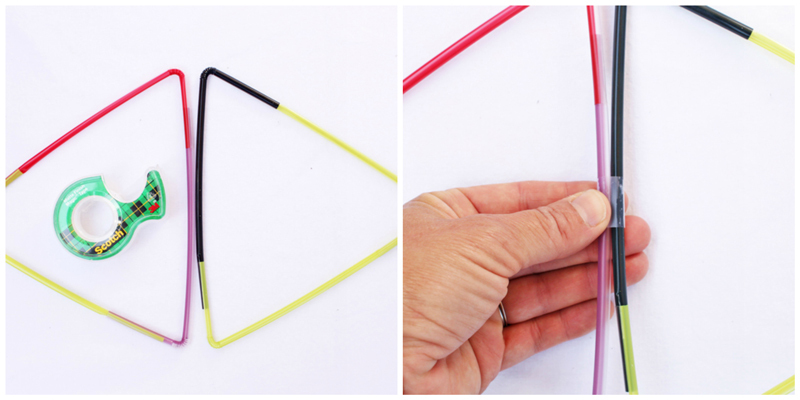 Bendy Drinking Straws- these have great colors! NOTE: We made one modification to this project which I think makes it a little easier for little ones! See Step One for the this added step to make the project even simpler than it already is! Step One Adults: Cut a roughly one inch slit through the long end of each straw. This will make the end easy to insert into another straw. 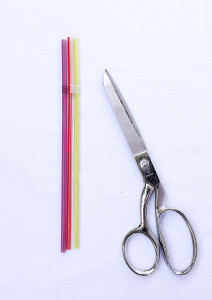 Do this on the long straw ends only. Step Two Show your kids how to insert one straw into another. Let them know that they should insert the long end of one straw into the short end of another. 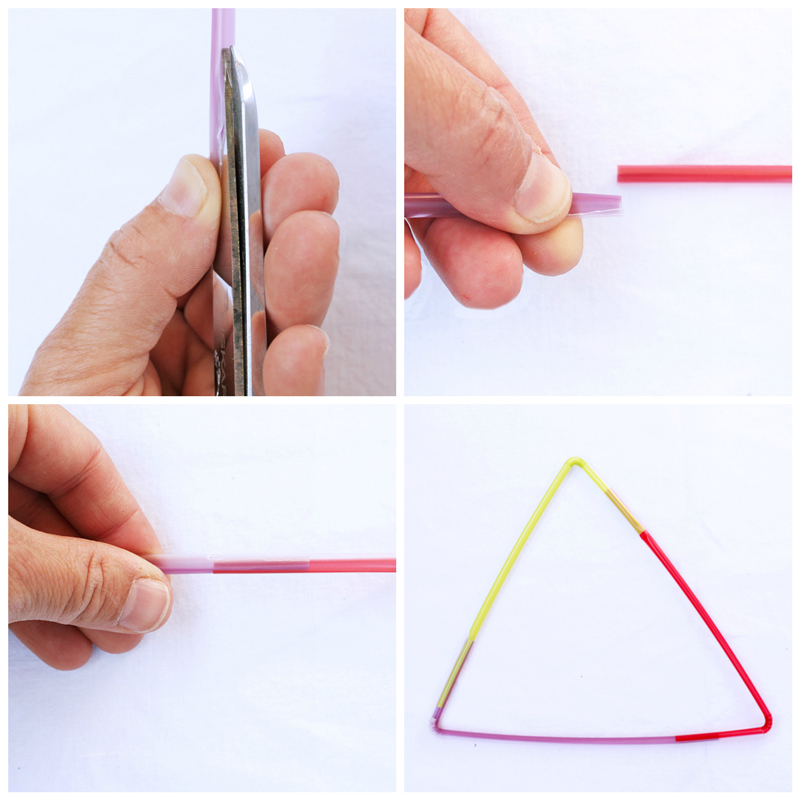 Do this for three straws to form a triangle. Step Three Repeat this making a whole set of triangle structures. Step Four Start taping the triangles together along the long sides. Step Five Create structures by taping the straws in unique shapes. 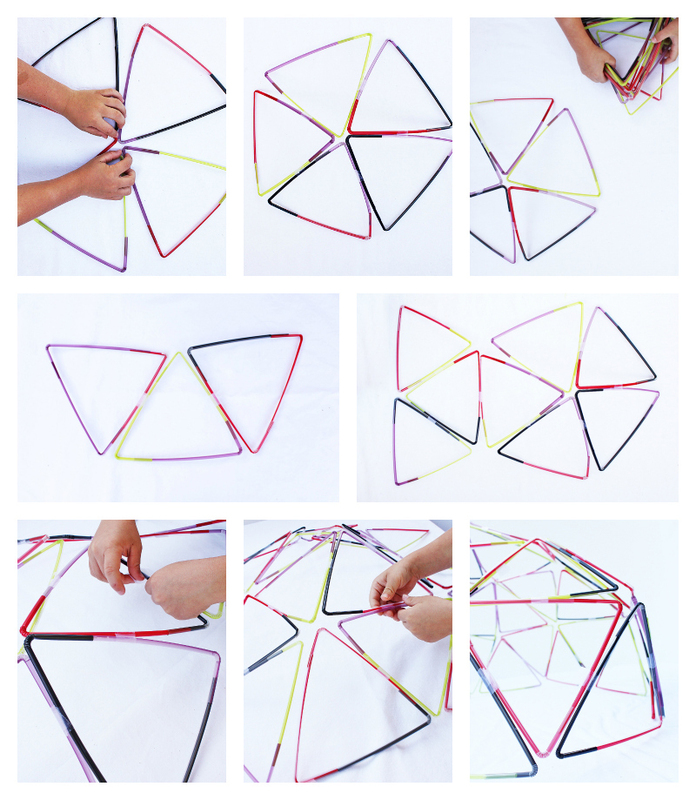 We found that taping them together and then bending the straws to form a larger shape was an easy way to create a simple structure. You’re done! My 7 year got to work making them into a simple diamond shape. But back to our straw dome… the dome we ended up making here is not a true geodesic dome. Since we built this structure on a whim we didn’t pay close attention to a few concepts upon which a geodesic dome is formed, namely that to construct one you need to use a minimum of two different strut lengths. Struts are the individual legs of the triangles. 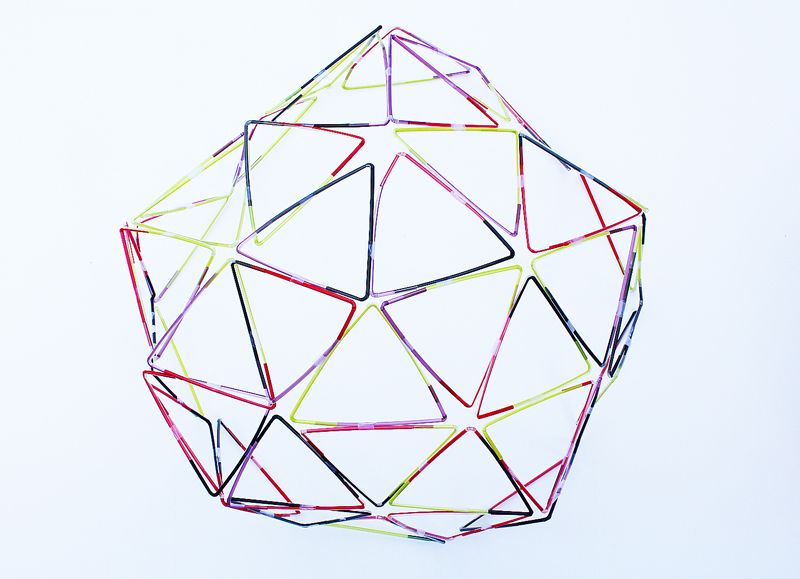 And so very soon we will be bringing you a a tutorial on how to build a true geodesic dome out of drinking straws. The dome pictured here was still a blast to make and a very cool way to create a complex structure using a simple building material: the straw. Below is visual tutorial of the steps we used. Does this image inspire you as to the possibilities of building with triangles? I’ll save my Bucky Fuller spiel for our geodesic dome post but I wanted to share this iconic image of a geodesic dome erected by then architecture student, Bernard Judge, back in 1958-1962 in the Hollywood Hills. The story behind the project is fascinating and can be read in detail here Living Lightly on the Land: Bernard Judge’s “Triponent” and “Tree” Houses. The possibilities of building with triangles are endless! I also love the mid century belief that domes would save the world. How many fabulous dome structures were built over the next half century, all harkening back to the inherent structural stability of the humble triangle? Now your kids can get a sneak peek into why. 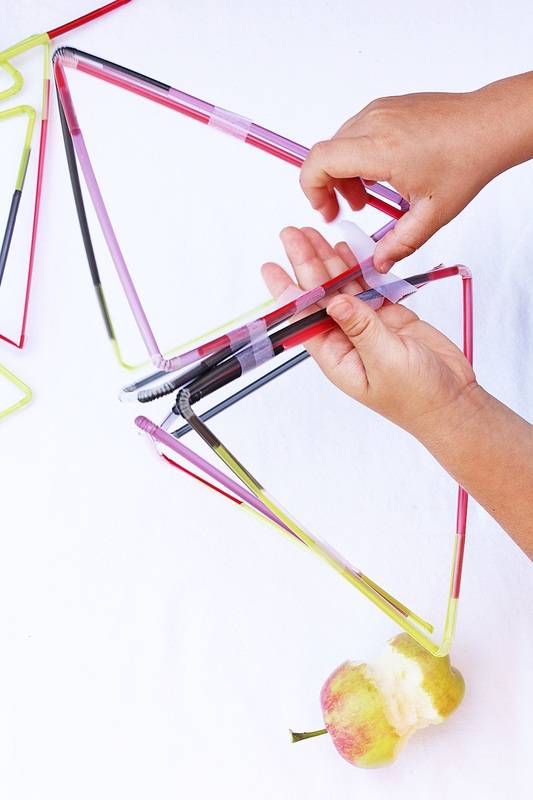 Excited about building with straws yet? 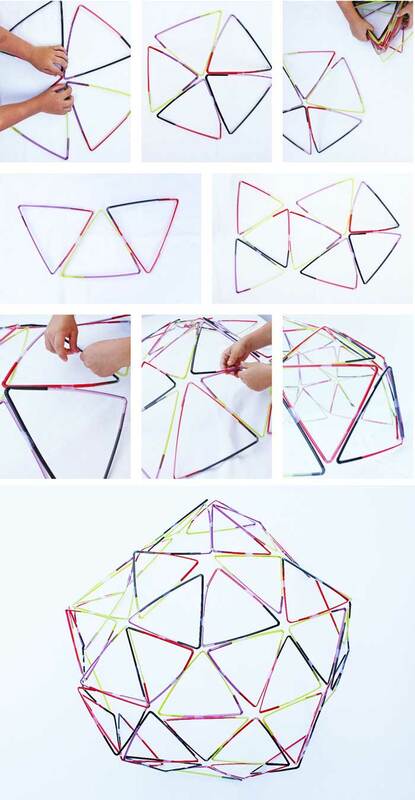 I love this easy exercise that introduces kids to geometry and structures. 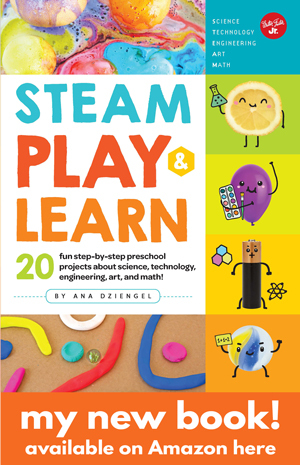 Thanks so much to the Kids Activities Blog’s new book for the great project! You’ll find tons more in their book! For more easy engineering based activities for kids check out our Toothpick Structures (fun to destroy too!) and Clay and Wood Block Structures. And of course I hope you’ll go buy this book: 101 Kids Activities That Are the Bestest, Funnest Ever! : The Entertainment Solution for Parents, Relatives & Babysitters! Woooww. great idea thank you so much for sharing this activity..